Gamescom is now entering the chaotic weekend days, in which a dizzying number of gamers descend on Cologne. Though the event isn't over, a week of industry events has nevertheless culminated in the official Gamescom awards; Nintendo of Europe, which is out in force at the expo, has a few wins to celebrate. Some potential wins have unsurprisingly gone to high profile rivals, such as LEGO Dimensions scooping Best Family Game and there being no surprise that Xenoblade Chronicles X couldn't tackle the Dark Souls 3 hype machine in the Best Role Playing Game category, but two Nintendo games did share three awards. Those are decent results in the Mobile and Social / Casual / Online categories, ensuring that Nintendo has a few prestigious awards to slap on marketing for both of these titles; they're worthy winners for our money, too. How can these games earn awards if they haven't been released yet? @allav866 One might asked how a game can be reviewed before it's release; the fact is it's complete and playable it's just not available to buy. Lego Dimensions is best family game? Surely the price of it means only the Kardashian, Getty, Rothschild and Royal families will be able to afford it all. Congrats Nintendo on winning Best Wii U Game. 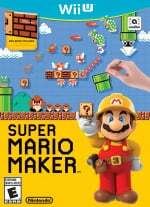 A little over a month left until we get Super Mario Maker. Winning these awards and watching people play it at conventions is building up my hype. I'll be playing custom SMB levels for a loooong time. @MrGawain I was interested in it until I saw the pricetag. As much as I loathe Disney Infinity, at least I already have the base and the upgrade version of hte game will hopefully be cheap again. Just like E3 and other "Cons" or shows about games, it's not about current games, it's about games coming out. So, they showcase games that are comig out soon (usually within the next 12 months), and based on demos, demonstrations etc., that's how they give out the awards. Not to be that guy, but how in the heck do you not know this? I will give you a pass if you're young. But, if you've been gaming for more than 3+ years...shame on you sir - shame! Wasn't Dark Souls 2 just released last year? So what's the big deal in 3? Splatoon is already out and has been for months. Shows don't showcase games that are already released and have been reviewed, for that would be pointless. What's funny, is that I don't even care to play them, I'm just super hyped to create them. I have a feeling I will get my smiles from others telling me how much they like my levels, or even obtaining constructive criticism. @MrGawain I know right. I was actually wanting to buy it for the Back to the Future and Portal sets but I could almost buy an XB1 for the price of all the sets I wanted. Hopefully it'll drop in price later. Meanwhile, Star Wars Battlefront nearly swept every other award. Dark Souls III is going to be hard to beat, for sure. Dark Souls II refined the franchise greatly but still had rough edges, and it looks like Dark Souls III is going to be even better. Xenoblade Chronicles X looks amazing too, and I imagine I'll be spending lots of time on both of these amazing games. I don't understand these awards. A game can get like 50 awards and it really doesn't seem to mean anything to me. @Hero-of-WiiU by refining the mechanics, introducing new combat set andbusing the beautiful engine of bloodborne, ds 3 will probably be definitive version of the franchise. Everyone who played the demo said it was great. @SomeoneDifferent : You are probably correct. Xenoblase Chronicles X threw me though, because it was release in April in Japan. 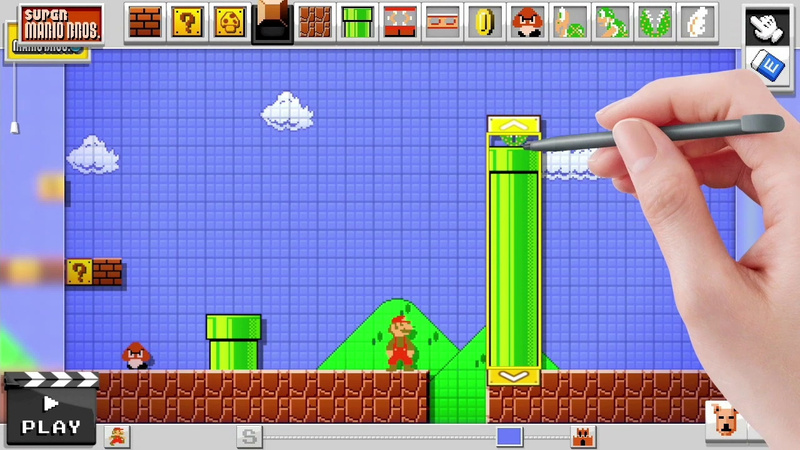 Why is Super Mario Maker considered a casual game? Why does the term "social" get lumped together with casual games instead of mobile? How were these awards decided? Why would anyone care about germany's view on gaming? So many things about this make no sense, but what made absolutely no sense at all was the DS3 hype - yet at the same time, the Souls series has one of the most eccentric fanbases of all time, so I shouldn't be surprised. If it's best Wii U game, wouldn't Nintendo have to win it? I would think Dark Souls 3 is too early in production to be compared to Xenoblade Chronicles X. @GraveLordXD To be fair, for all intents and purposes Bloodborne appears to be Dark Souls 2.5.